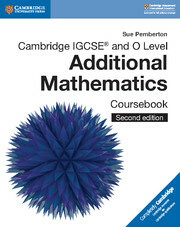 The Cambridge IGCSE® and O Level Additional Mathematics Practice Book works alongside the coursebook to provide students with extra materials so they can practise the required syllabus skills. The exercises have further worked examples to help students approach the questions within. Answers are provided in the back of the book. 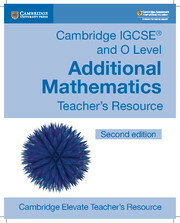 Provides further practice questions for students to tackle and consolidate their skills. 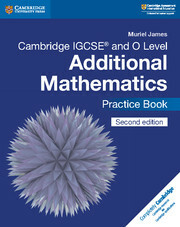 Answers are provided in the back of the book for students to check their progress. New worked examples at the beginning of each exercise ensure students are clear on how to apply the skills. Activities increase in difficulty throughout the book, helping students to challenge themselves.